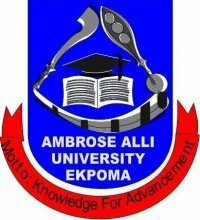 Ambrose Alli University, AAU Ekpoma Direct Entry screening exercise scheduled for the 2017/2018 academic session has been postponed. The AAU Ekpoma DE screening postponement is an indefinite one. All candidates who have chosen Ambrose Alli University during JAMB Direct Entry registration have applied for the school’s DE screening exercise as advertised are hereby informed. This is to inform the general public and most importantly Direct Entry candidates who applied to Ambrose Alli University, Ekpoma for the screening exercise earlier scheduled for 18th and 19th September 2017, that the screening exercise has been postponed until further notice. A new date for the screening exercise will be communicated in due course. We shall update you on this page when that happens.